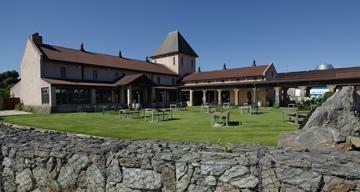 The Brancott Winery opened in 1977, making it one of the oldest wineries in Marlborough. From producing one of the world's first grape tipping tanks, the winery has stayed true to its pioneering herigate and embraced innovation. It was one of the first to commercially plant Sauvignon Blanc in Marlborough in 1973, at the top of New Zealand's South Island and has been heavily instrumental in developing the region as one of the foremost viticultural regions for Sauvignon Blanc world-wide. At present, Brancott Estate continues to lead with its innovative winemaking approach and passionate commitment to excellence under the stewardship of chief winemaker, Patrick Materman. This wine presents fragrant lemon, grapefruit and tropical fruit aromas on the nose. A sweet pungency, ripe lemon sherbet flavor and a hint of mango dance across the palate, which shows great balance with a refreshing, crisp and lively acidity.